This newsletter has been months in the making and I finally sat down to set it up and get the ball rolling! 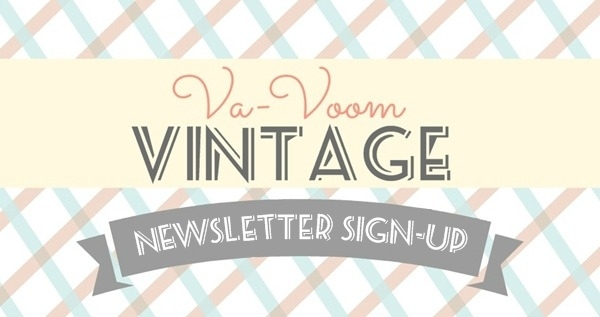 Subscribe to my monthly email newsletter to receive exclusive content not shared on the blog, special sales and coupons, free printables, vintage knitting/crochet patterns, beauty tips and vintage inspiration from all around the web. When you sign up, recieve my 20 page PDF booklet "Through the Looking Glass to Good Grooming"
The first newsletter comes out this Friday! Congratulations!!!! Off to check it all out! Awesome! Where do you find the time to do all this- you're amazing! Thanks for subscribing, Hannah! Hope you like it!! Love the booklet and cannot wait for the newsletter! Thank you! Love the booklet! And, it was copywrited the same year I was born...1953! Can't wait to see the newsletter. Love the booklet and Can't wait to see the newsletter. Hi there! 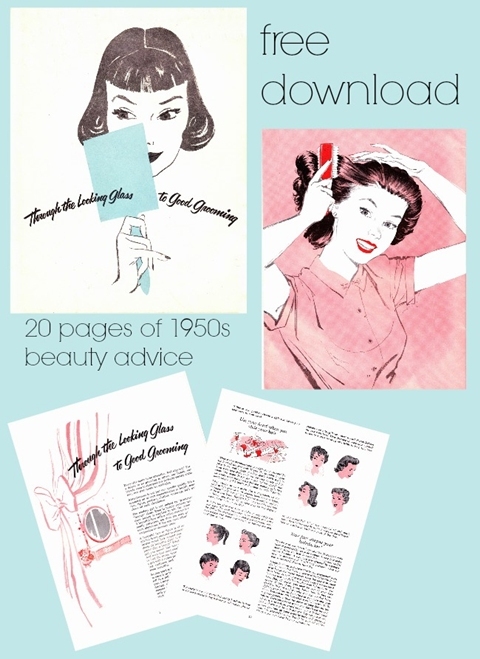 I've signed up to your newsletters but can't find how to download your Beauty Book...please help! !